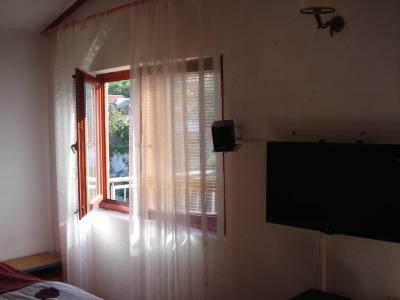 Lock in a great price for Guest House Goa Mostar – rated 9.3 by recent guests! 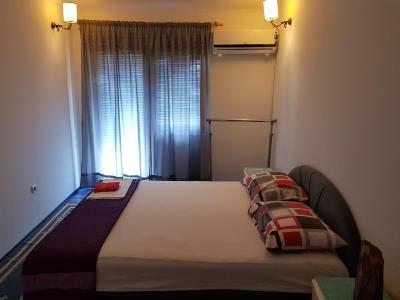 The quadruple room with balcony is a MUST for photographers, as it has the best view of the old bridge of any accommodation, charming host, fantastic breakfast (extra charge), convenient laundry service (also extra). The host was really friendly and helpful. The view from our room was amazing. 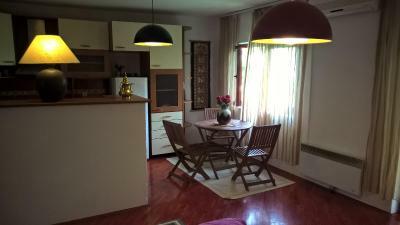 Great location about 5 mins from the bridge. The location is wonderful! 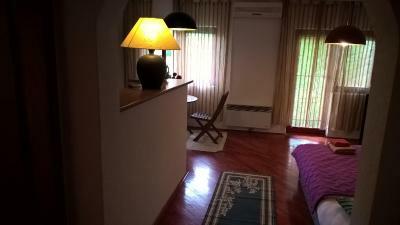 The four person room has a balcony overlooking the river and a tremendous view of the old bridge. The breakfast they offer is top notch and one of the best we've had in our travels. This is a nice, quiet respite from a heavily touristed old town. The view from the room for four people is amazing. The owner of the house was so friendly and helpful. We wanted to stay for longer! We would definitely come back. Yes it has a great view of the bridge. But the real reason to stay here is: Emir and his lovely family. 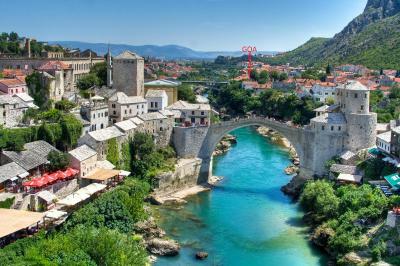 They are so kind, love to socialize and a wealth of knowledge of Mostar and Bosnia. If breakfast is offered, order it and bring your appetite...it is delicious and huge! 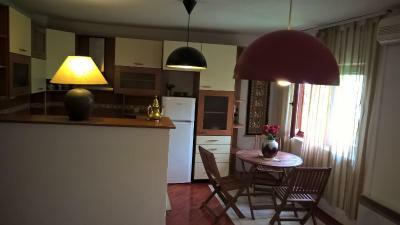 Lovely apartment with very friendly hosts. The room was bigger than I thought and the bed was very comfortable. The old bridge is 5 minutes walking. The ideal viewpoint if the bridge itself is 1 minute away from the other bridge in town. If traveling in the summer, visit the old Town in the morning to avoid the crazy crowds. Best bed and breakfast on my whole journey in Europe so far. Emir is so helpful and friendly. He will make sure we get all what we need. 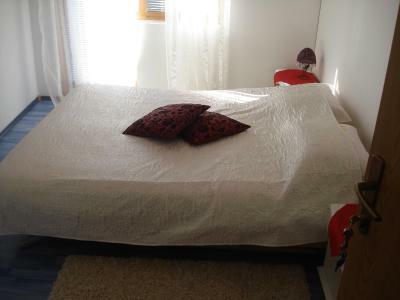 The bedroom with private barhroom on ground floor is excellent. 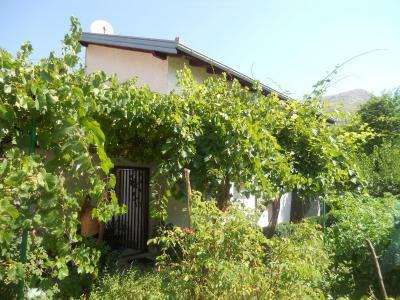 It has kitchen and private garden with beautiful view to the Old Bridge of Mostar. Wifi is good. Breakfast is superb, the portion is more than enough, and the coffee is very very good. 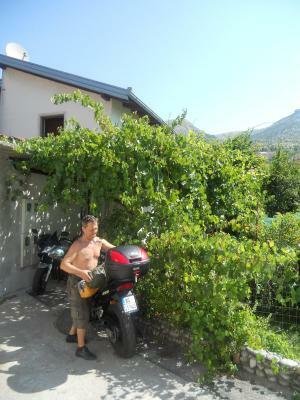 Emir can also take us on private tour with his car around Hercegovina for a fee. One of our best sellers in Mostar! 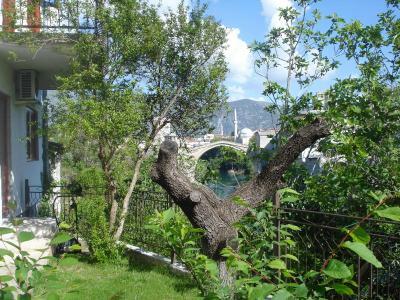 Guest House Goa Mostar is located right above the Neretva River and offers views of the UNESCO-listed Old Bridge. 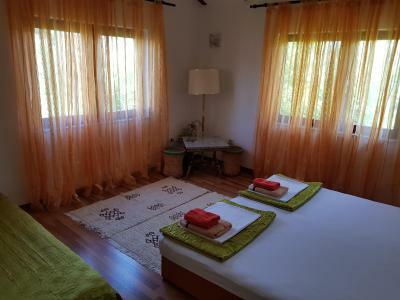 Featuring a lush garden with a seating area and a barbecue, the property offers air-conditioned rooms with free Wi-Fi connection. 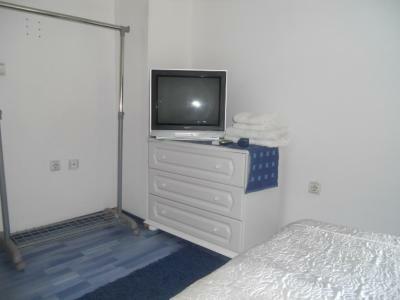 All accommodations units offer cable TV, towels and linen, as well as access to a shared bathroom with a shower. 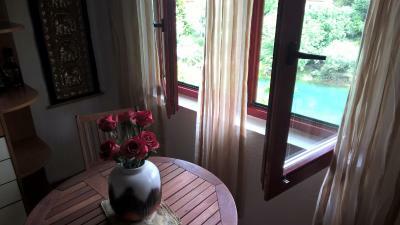 Some rooms also feature a balcony with a view of the river and the bridge. All major historical sites can be reached on foot in a few minutes. The Bridge is is 350 feet away, while a fresh food market is 100 feet from the property. 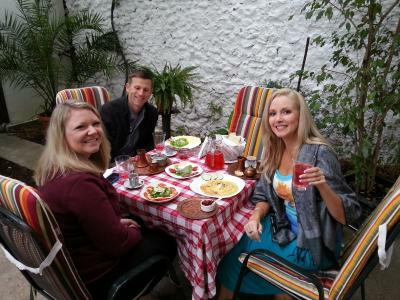 Various nearby restaurants serve traditional Bosnian specialties. Bus and Train Stations can be found 0.9 mi away. Mostar Airport is 3.1 mi away. Guests can park their motorcycles in a private garage and there is equipment for quick wash and service available. 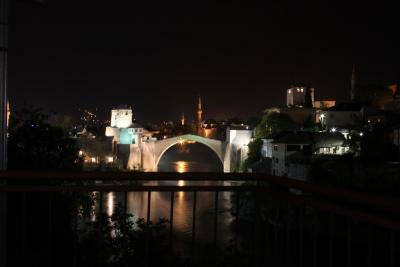 This is our guests' favorite part of Mostar, according to independent reviews. 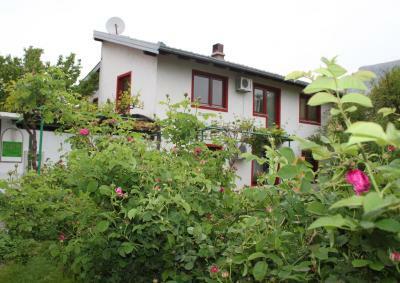 This property also has one of the top-rated locations in Mostar! Guests are happier about it compared to other properties in the area. 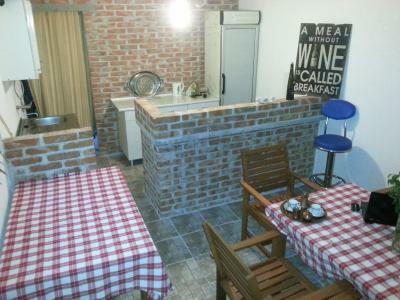 뀐 Located in the top-rated area in Mostar, this property has an excellent location score of 9.9! 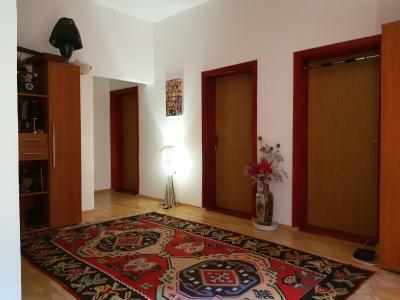 When would you like to stay at Guest House Goa Mostar? 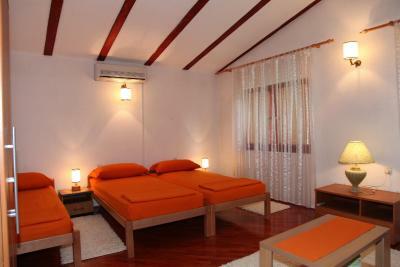 Air-conditioned room offering a seating area, cable TV and access to a shared bathroom with a shower. Towels and linen are provided. 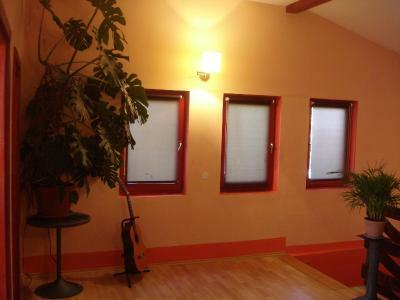 Air-conditioned room fitted with a balcony that overlooks the garden and the river. It offers a seating area, cable TV and access to a shared bathroom with a shower. Towels and linen are provided. This studio has a dishwasher, patio and electric kettle. 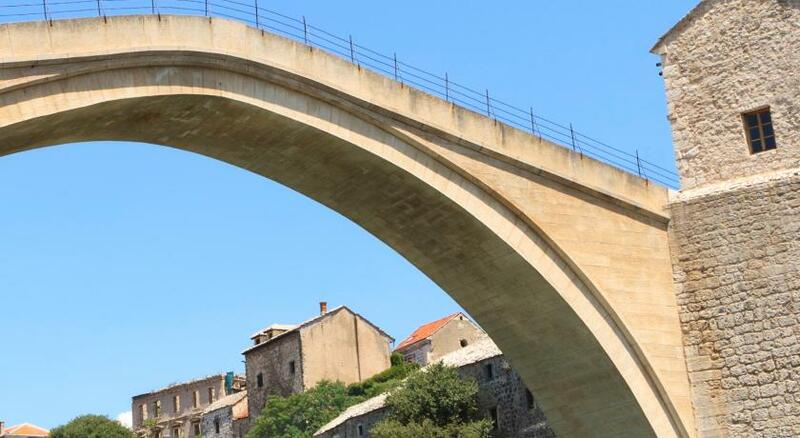 Mostar’s beautiful old bridge, Stari Most, is the star of this picturesque old town. Terracotta roofs and the minaret of the Mehmed Paša Mosque overlook the banks of the beautiful Neretva River. 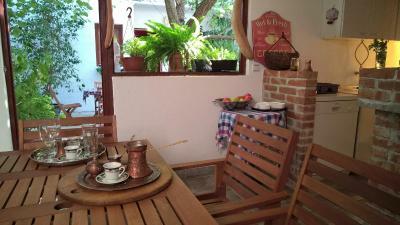 House Rules Guest House Goa Mostar takes special requests – add in the next step! 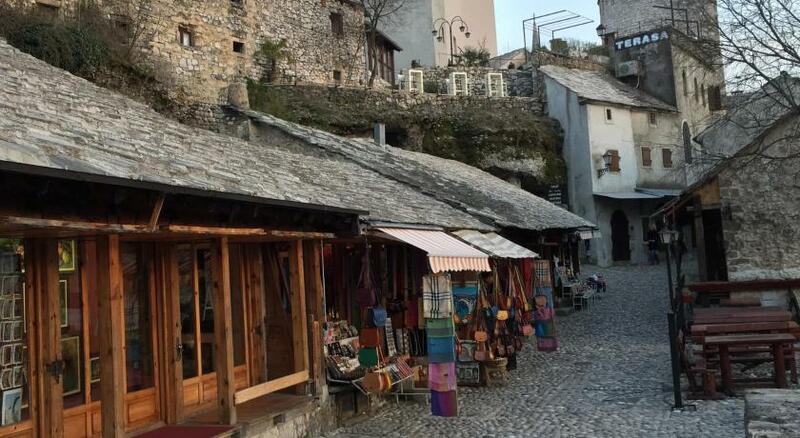 One of the most picturesque neighborhoods in Mostar! This is the owner’s house. You have to share bathroom with other people. 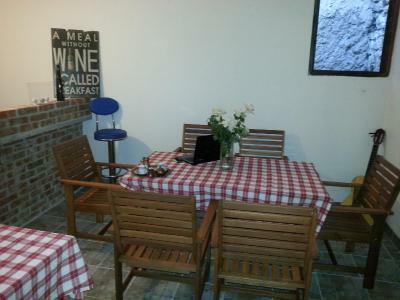 Generally the place is clean and gives us the atmosphere like staying home. We stayed in a room for 4 on the top floor. The view from the balcony is spectacular. I think it is the only place in town that you can see the old bridge right from your room exactly as the picture in Booking.com page. The owner is very nice, friendly and helpful. My friend dropped her nail cutter behind the washing machine and the owner came to help her get it back immediately, with a smiling face. 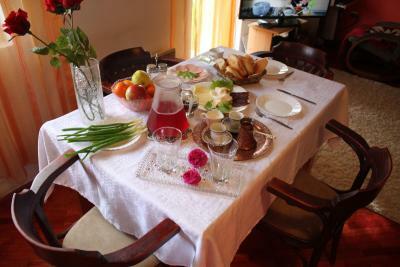 Their breakfast is also a real treat, so delicious with Bosnian coffee and Promegranade juice from their garden. Great Value for money, highly recommended. For those who come by car from M 6.1 ,you have to turn left into a small alley before the lucki bridge. If you come from M 17 or E 73, you have to cross the bridge and turn right in an acute angle almost like a U turn. I did not stay at the room with old bridge view. Host is very nice and helpful. In case you're wondering, the place is just next to the bridge. We drove pass by so many times, in the end, had to call Mr. Emir and after you see the balcony, you will forget that little problem because it's breathtaking! 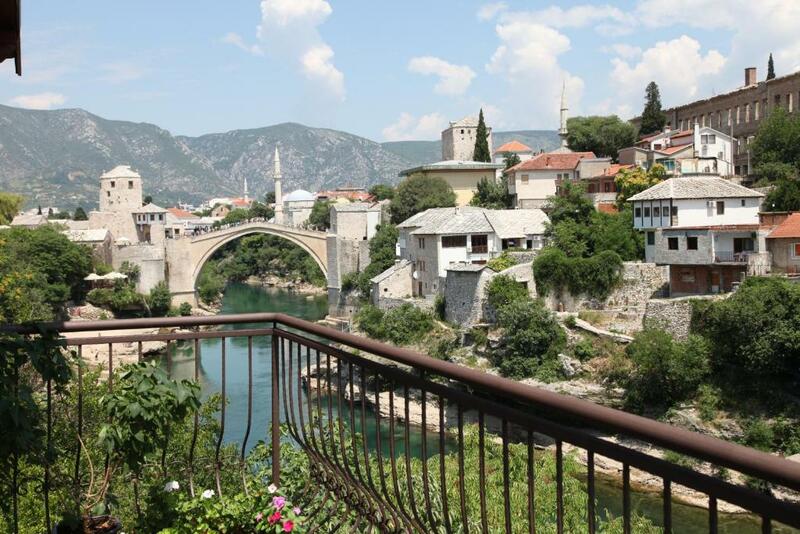 Pretty sure you're thinking of this property because of the Mostar bridge view from his balcony. I say YES to that. And please please please don't turn down his breakfast. IT WAS THE HIGHLIGHT of this stay apart from the view of course! They were super friendly and super helpful. Mr Emir's wife even help us with the washing machine. 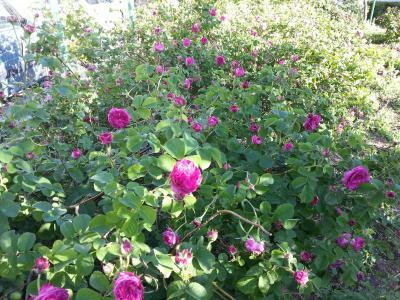 And added bonus if you love gardening as my mother goes crazy over his garden in front and behind our room. Some dirty plates in the room left from previous guests. We didn't use kitchen, so it was not a problem for us. Location is amazing! Best bridge view from the balcony. You should definitely try a breakfast here, it's local and so good! Ask the host about restaurants nearby, his advise was very helpful. 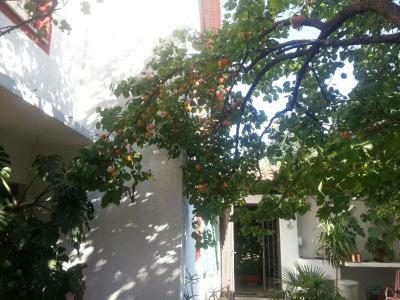 We were really lucky to stay in Goa Mostar Guesthouse. Great location. Breakfast was amazing! Very accomodating. At this price for shared facilities, I would not have stayed in any of the other rooms, but hard to say anything negative since the host is so helpful and friendly. Very friendly and helpful owner. We were invited in to watch a World Cup semi final and were treated to a bottle of wine and other odds and ends. Amazing breakfast, most produce supplied from his garden. Very enjoyable stay with a great family. Taxi service is a bit pricey, usually any taxi charges you 2 euro to the bus station, not 5. The view of the room is amazing! 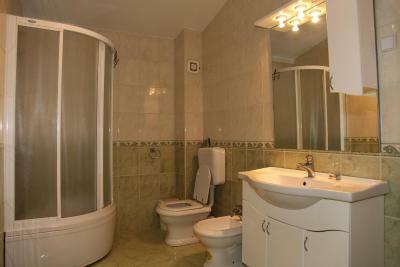 There is only one shared bathroom for a couple of rooms (Toilett inc.) and it can get occupied for quite a long time. 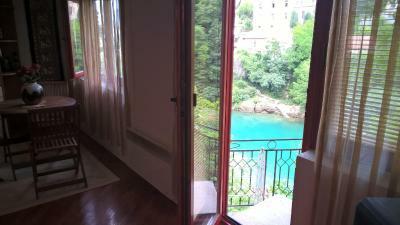 The view from the 5 beds room is the best one you can have in Mostar. We were fortunate, because of one cancellation we could stay in the room with the outstanding view from the balcony (it's the 1st picture of the Apartment photos). 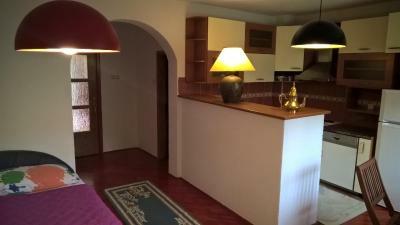 The host was very friendly, communicative and helpful. The guest house was hard to find as parking is hard to get in the old town and the sign was very small. We did find it and had no troubles after that.